"Happiness in family life is most likely to be achieved when founded upon the teachings of the Lord Jesus Christ. 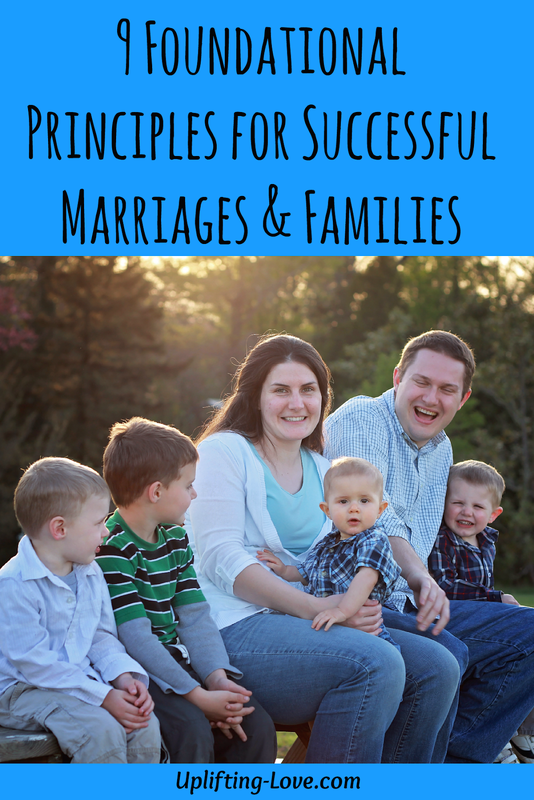 Successful marriages and families are established and maintained on principles of faith, prayer, repentance, forgiveness, respect, love, compassion, work, and wholesome recreational activities." There's this song, it's called Happy. Pharrell Williams performs it. I heard it for the first time about two months ago and really enjoyed it. My boys love it too. We've watched the official music video (below) a number of times and several parodies of it too. If you haven't seen it, here it is. My favorite on the list, and the one the most surprised me the first time I read The Family: A Proclamation to the World, is the last one: wholesome recreational activities. Isn't that neat? Wholesome recreational activities. That's something that has been especially difficult for Cami and me. At the end of the day and week we're so tired from everything that all we want to do is get the kids in bed so that we can relax and sleep. We have good friends who took their kids swimming several times a week all summer. I have another friend that takes his sons camping regularly (I haven't done this at all this year). There's another family we're close to that goes on weekend trips several times a year. Not us. But we really should. I look back on my childhood and remember all of the fun things that we used to do. We would go swimming at the high school pool regularly. Dad took me camping all the time. We even did a 50 mile backpacking trip one year which was awesome. My dad and I went snow camping each winter where we would build an igloo and sleep in it. Each Valentine's Day my mom would take my brother and me on a mother-son date while my dad took my sisters to a father-daughter dance. Every Sunday night we all gathered around the television to watch Touched by an Angel. We had a family night most Monday nights. We still tease my dad about the time that he refused to play Sorry with us because we would gang up on him so that he would lose (otherwise he would destroy us). All of these memories become the basis of the conversations I have with my siblings now. These shared experiences bind us together. Wholesome recreational activities. Give it a try. Sign up for my newsletter below to receive my list of 25 Wholesome Recreational Activities for free. What can it hurt? Family and marriage...God's beautiful creation and one that we must take seriously. My husband and I married late in life and do not have children at all. But we know that tending our marriage holds us close to one another and to the Lord. He and I were just talking about children's needs today as I tutor first and second graders who are struggling already. (I was a teacher and children's librarian for many years.) The kids I work with usually need encouragement and uplifting. Kids need to know that they are loved and accepted and safe in family. They also need the memories of those special times with that family. You have hit the nail on the head. Glad you were a nearby neighbor at Lyli's tonight. Pizza and a movie night are awesome! In our home it's usually popcorn for dinner and a movie because we're popcorn addicts but the idea is the same. Spending time together. Thanks Helene! Those moments of joy together...simple, silly and sweet. Don't need to cost a dime and yet so very priceless. In families. In marriages especially, the foundation of the marriage. Thanks, Tyson. Very true Sheila. Memories don't need to cost anything. Some of my favorites are of feeding ducks at a lake as a child and long walks with my wife. Does going grocery shopping together count as a wholesome activity? My hubby has a problem with loss of energy, so we don't swim, hike, camp or exercise much. I love your list and especially the last suggestion. All families need to find time to do something together. Thank you for sharing your inspiring post with us here at “Tell Me a Story." I don't see why not. :) It seems like every time my wife and I go on a date we end up stopping by the grocery store to get something. The important thing is doing something together to build the foundation of the marriage and the family. Thanks Hazel! I love all of the above. My hubby and me spend time praying working and playing together. It really helps!! This is something my husband and I need to work on as well. We've been often busy during our marriage and, as you say, too often we're too tired at the end of the day to come up with ideas. :) So thanks for sharing! Thank you for your comment Tanya and thank you for co-hosting the party!